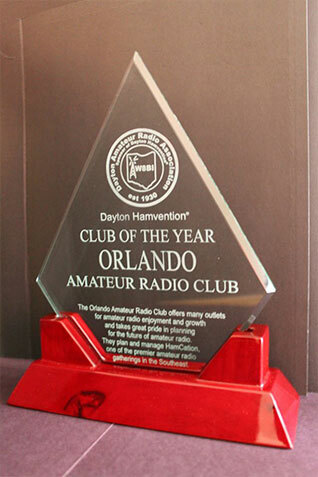 The Orlando Amateur Radio Club, with the club call of W4PLB, is the largest and oldest amateur radio club in Central Florida with consistently over 300 members. We are an American Radio Relay League, (ARRL) Special Service Club, and offer many outlets for your amateur radio enjoyment and growth. We actively support Orange County ARES and Skywarn as well as several community service agencies. To keep members informed, a monthly e-newsletter is sent out that includes meeting information, items of interest and important announcements. To promote amateur radio, OARC offers classes for all levels of amateur radio license from Technician to Amateur Extra. By acknowledging the obvious benefits of upgrading, we support and promote the advancement of the amateur radio community licensees by offering these theory classes. Testing is provided on a monthly basis prior to the general membership meeting at the Beardall Senior Center. See our links page for online internet testing sites. Annual events sponsored by the OARC include Orlando HamCation which is sponsored and financially supported by OARC, whose members contribute their time and effort in promoting a high quality hamfest. Other Central Florida clubs generously give their assistance in the operation and planning of HamCation. Second only to Dayton, this is the largest hamfest in the southeastern United States. If you are visiting the Orlando area during the middle of February, please drop by and enjoy the show. We love to have new visitors and guests. We hope you will enjoy your visit here and that you'll be pleased to return. If you have any questions, comments, suggestions or concerns, please contact any of the OARC Officers or Board members. For more information on HamCation please click here.